TODAY’S GUEST IS ABOUBAKAR DIABY, FOUNDER OF PERFORM WORLD, CÔTE D’IVOIRE’S LEADING LOCAL CASHEW EXPORTER. Today’s episode is a little different from my past conversations. 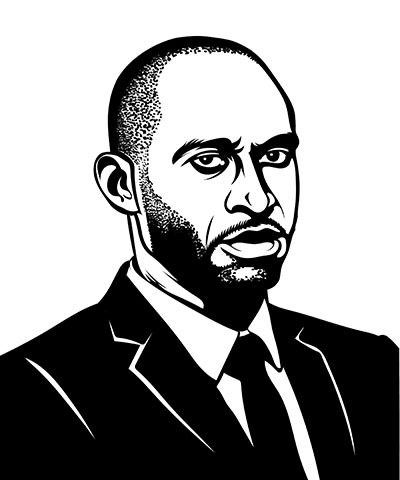 Whereas most of my past chats have been with African technology entrepreneurs, Diaby -- Ivorians tend to call each another by their last names -- is archetypal of an old school entrepreneur. He’s a raw cashew nut trader. Côte d’Ivoire is best known for being the world’s largest cocoa producer. Less well known is the fact that over the last 20 years, Côte d’Ivoire came out of nowhere to become the world’s biggest cashew producer. The cashew crop is enormous at 800,000mt. Diaby was at the forefront of that explosive growth in the raw cashew nut trade. You might be thinking: why should I care about cashews? As much as African technology startups are dominating the conversation, old school businesses like commodity trading is still hugely important in African economies. Commodities generate a huge share of foreign currency as well represent the major source of cash in rural communities. Traders like Diaby are key piece of the puzzle because they’re supplying the cash to pay for the cashew. It’s a risky and incredibly volatile business. I’m definitely going to geek out this episode since I started cashew trading last season. It was great chatting with Diaby. He has a really neat story. We talked about how he immigrated to the US and worked as a truck driver, why cashew is rife with contract defaults, and how he hedges against risk in trading. He also offered some excellent tips on high stakes negotiating. Without further ado, here’s my conversation with Aboubakar Diaby.